A fantastic destination for skiers and non-skiers alike, Sweden offers snow mobile safaris, glimpses of the Northern Lights from the infamous ICE hotel, a smorgasbord of unusual cuisine and skiing above the beautiful Åresjon lake. 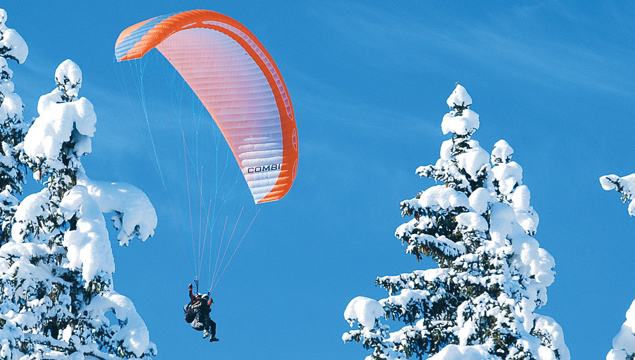 Mountain Leap can also combine your corporate ski event with a day in Stockholm. For those looking to really impress, whether it’s a client entertainment event or a sales incentive, we also offer corporate heli-skiing events in Sweden’s Arctic mountains with guaranteed snow late into the season. Åre is Sweden’s biggest winter resort and offers skiing for everyone from beginners to experts. Åre hosted the Alpine World Ski Championships in 2007 and the popular resort, which is just 380 metres above sea level, stretches 10km along a frozen lake and enjoys a beautiful setting amid the spectacular scenery. Åre is a small town in the centre of Sweden boasting stunning scenery with it’s low sweeping mountains and snow-covered forests. Mt. Åreskutan rises 1420 metres out of a trough of copper ore in central Sweden’s Jämtland province, towering over shining snow-capped forests and sparkling frozen lakes. The ski lifts to the resort’s main slopes start from just above the bustling village square and the resort stretches from the village of Duved in the West to Åre Björnen and to the East of Åre itself. Located on the eastern slope of Mt. Åreskutan, Åre began as a small mining village with just 200 inhabitants. Over the past century, it has grown as a favored hunting spot, then to a natural health retreat and finally, to a flourishing ski town. For centuries, the fresh mountain air and stunning natural landscape have been attracting visitors from around the world. With plenty of restaurants, a variety of shops and facilities and a bustling nightlife, it is no wonder Åre has become such a popular ski destination. The Sälen Ski Area includes seven separate ski areas making up a combined total of 145km of downhill skiing. The area boasts 86 individual pistes served by 100 ski lifts and is famous for hosting the Vasaloppet, the oldest, longest, and largest cross country ski race in the world. Snow cover in the region is generally very reliable due to the Scandinavian climate and Sälen is able to augment natural snow. The first settlers arrived in Sälen as early as the 8th century, when there was no downhill skiing, simply hunting, fishing, farming and raising livestock in the mountain cabins. Now during the Winter season, tens of thousands of tourists flock to the area to ski the various resorts and to experience and enjoy winter activities in the region. The area boasts ample skiing for every level of skier and boarder and has several full scale terrain parks to boot. In addition to the skiing there are plenty of restaurants, bars and activities to keep visitors entertained. Hemavan Tärnaby ski-resort in the province of Lapland offers spectacular views, fantastic skiing as well as distinctive regional Winter activities. 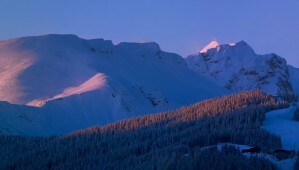 Hemavan and Tärnaby are two combined ski areas accessed with one pass. Together they complete the package, altering between gentle hills, expert slopes and off-piste descents. The lifts and slopes in Hemavan and Tärnaby are open between November and May. Hemavan is home to Sweden’s longest chair lift and descent. The lower half of the run is tree-lined and even longer runs are accessible by helicopter. 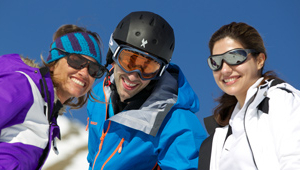 The resort boasts direct access to 28 individual pistes, served by 7 ski lifts. Snow cover is generally reliable due to the Scandinavian climate and Swedish charm and hospitality is guaranteed. It takes a lot to make something as complicated as this come off so perfectly. © 2019 Honey & Co. Ltd. All rights reserved.